A short sixteen years earlier, in 1914, the land was a bare, sandy waste of land. In 1930, the Metro-Goldwyn Mayer studios were valued at $25,000,000. In 1914 a real estate man sat in his office. He owned hundreds of acres of land on the outskirts of Los Angeles and was confronted with the problem of selling them. As it lay, that tract of land was far from pleasing to the eye which increased the problem of selling it. Something had to be done to draw attention to the locations, to give it a glamour which would entice home-seekers. The real estate man decided to forget those acres for the afternoon and go to a movie. But as he was leaving he stopped—Movies! Motion pictures. A studio. Workmen would need land for homes. 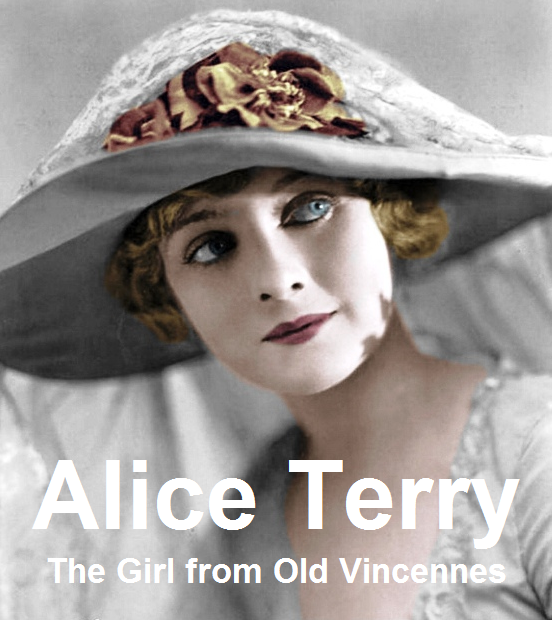 Thomas Ince, then a big mogul in motion pictures, was called and offered the land to build a studio. Where?” Ince asked. “Culver City,” replied the real estate man. So out to the sanded wastes went Thomas Ince. He built one rickety stage which passed for a studio and began making Western pictures. Ince’s once rickety stage had grown to be three large glassed-in studios. A few years later, Samuel Goldwyn, coming west, bought the works; stages, land and all that went with them. 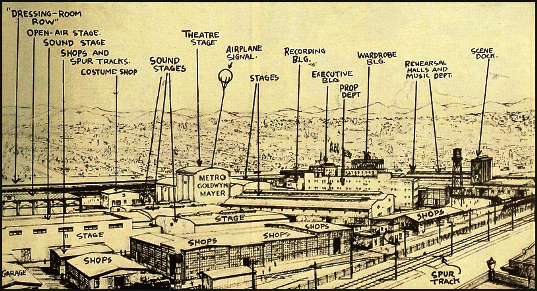 The romance of motion pictures and the studio which eventually became Metro-Goldwyn-Mayer were under way. 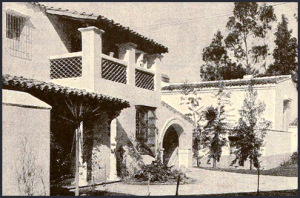 Under the Goldwyn regime at that studio Will Rogers first came to pictures. 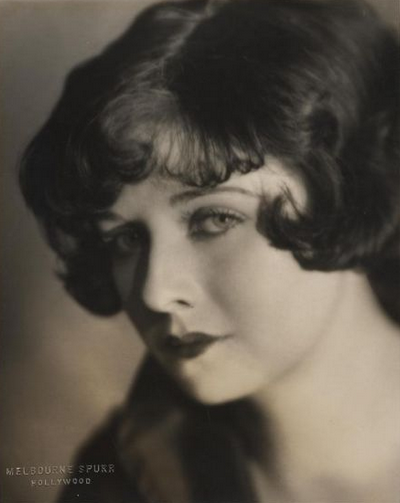 Also there was Pauline Frederick, who was one of the most beautiful actresses of her day. Helen Chadwick, Naomi Childers, Sydney Ainsworth, Madge Kennedy, Mabel Normand, Jack Pickford, Tom Moore and Geraldine Farrar, at that time the “Carmen” of them all. These and many more laughed and cried their way in and out of that old studio. Most are but faint memories today. 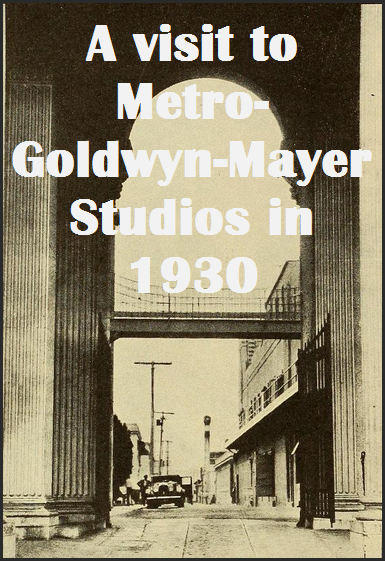 Rupert Hughes, Rex Beach, Gouverneur Morris, Gertrude Atherton—writers which in their day were as big as any in their game—all saw service at that old Goldwyn studio. It was a training ground for the best. 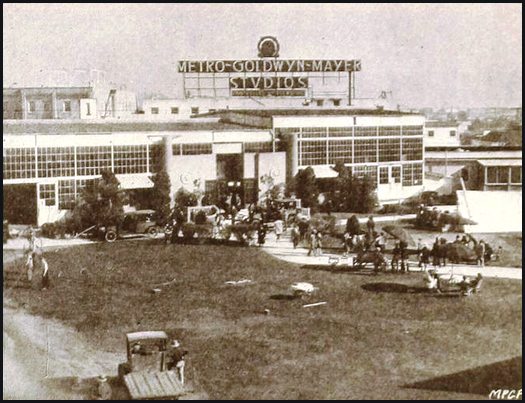 In 1924, Metro Studios and Louis B. Mayer joined hands with Goldwyn and the Metro-Goldwyn-Mayer organization and studio was born. It grew into a fairy city. . There were twenty-two complete sound stages. Two of these were monstrous things of steel and concrete. 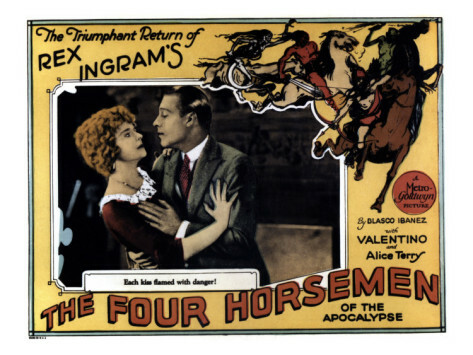 One contained a complete theater, the largest hippodrome stage west of New York City, for theatrical spectacles in films. The stage in the theater was eighty feet long, eighty feet wide and eighty feet high. It had every modern device invented. This is what you see in MGM pictures whenever theatrical sequences are shown. Another stage, the largest in existence, one hundred feet wide and two hundred and fifty feet long, was a steel and glass semi-enclosed building for extra large exterior scenes, such as those shown in The Trail of ’98. The rest were ordinary, huge steel and wood stages made soundproof by being lined with a composition. . 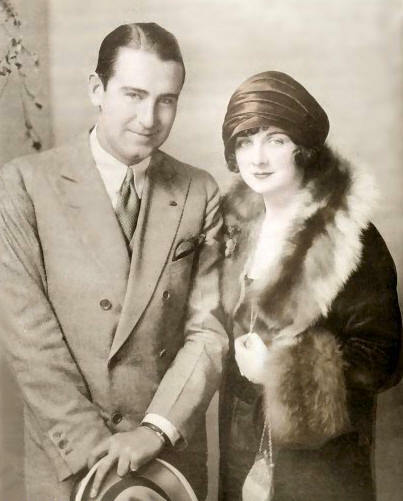 In these studios daily could be seen John Gilbert, Norma Shearer, William Haines, Marion Davies, Ramon Novarro, Greta Garbo, Lon Chaney, Joan Crawford and a host of less famous players who were battling their way to stardom. A group of concrete buildings were to the left as you entered the main gate. The first three-story building was the one housing the executives. Irving Thalberg was one of them. Louis B. Mayer was another. Next there was a three-story concrete wardrobe building. In it were tailor and dressmaking shops, designers’ offices and storage space for the more and 10,000 dresses and costumes MGM kept on hand ready for a moment’s call. With Adrian and David Cox designing them, and “Mother” Coulter supervising the making of them, some famous costumes and styles went out to the world from this building. Just past the wardrobe was the publicity building and casting office. That small office was where so many came daily only to be told, “Sorry, nothing for you today.” Directly across from the publicity building was the commissary; a complete restaurant with dining room, lunch counters and soda fountain. It was run on a non-profit basis, being strictly for the convenience of the studio employees, the stars, extras, cameramen and directors. For years the minimum number of meals which were served there in any one day—except Sundays—was one thousand. And as many as seven thousand were fed in one day during heavy production. It was here that Louis B. Mayer entertained the entire studio at a turkey dinner each year during the Christmas holidays. Never had he had less than 2,500 guests. 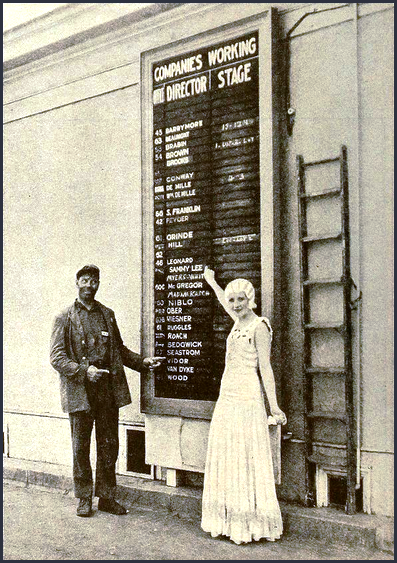 In addition, the commissary had its own ice and carbonating plant. .
Karl Dane and Gwen Lee point out the studios schedule. Director’s Row was two stories and ran from one side of the commissary. Here sat Robert Leonard, Sam Wood, Jack Conway, Harry Beaumont and other directors. Around the corner was the fan-mail department. Seven clerks handled an average of 38,000 letters a month addressed to the stars. They were in reality a miniature post office staff, sorting the letters and seeing that each star gets his sack-full every day. It was these men who addressed and sent pictures of the players to those who requested them. Strolling further about the fifty-three acre lot were stages back-to-back, stages stuck off in corners, and sets all over the place. There was a building for music and dance rehearsals; a recording building where the voices were recorded. Next a camera building and near it the projection rooms, where daily the “rushes” were viewed. Nearby was the big electrical building. 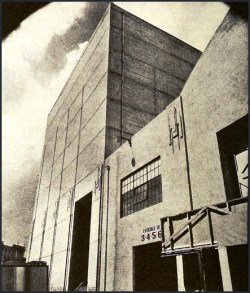 The MGM studio used 2,500,000 kilowatts of juice a year. It had a “connected load” of 35,000 horsepower—more than enough to light a city the size of Reno, Nevada. .
Around the corner of a stage were bungalows which nestled into the ground and looked like dream houses. They belonged to the stars. Then the make-up department, a little schoolhouse for child actors and more sets. More than 3,000,000 feet of lumber a year was used in building sets; 15,000 gallons of paint; 250 tons of plaster; 4,000 sacks of cement; 15,000 tons of rock; 600 bales of plaster fiber, and 300,000 feet of wallboard. These were for the building of sets only and did not include the materials used to build stages and buildings. The telephone system at MGM was a 1200-unit central switchboard. It was more than enough to adequately serve a city of 3,000 people. . In 1930, out of the 120 buildings and its 2,500 employees, 50,000,000 feet of film was used for the output of motion pictures that was sent to theaters. In any event, it was a far cry from the dinky, rickety one stage that Thomas Ince first erected, to the ten thousand people who were on the lot at one time during the shooting of Ben-Hur (1926). In 1930, Culver City boasted 13,000 as her population. That real estate agent—Harry Culver—was now a multimillionaire.